The three toughest days of the week are complete. We are onto Thursday and walking-through until kickoff at 7:30 p.m. on Friday night. We started on August 7th and we are already closing in on September 1st. Whoa, time flies when you are having fun and working hard. Here we are on the cusp of the opener. Every year, it gets here faster and faster. Friday will be a good test for us. Seminole has some playmakers and they are coming off an impressive season. They are also well coached. I know Coach Jackson will havethem ready for the Westerners. They will play tough and they will play hard. So will LHS. Something has to give on Friday night! 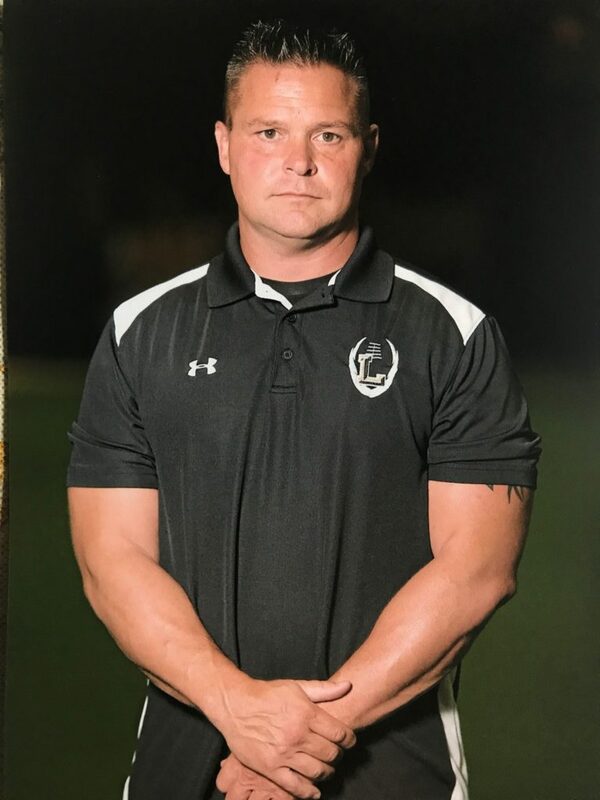 If you read this blog and if you know me, you know I’m good friends with Seminole Head Coach, Kent Jackson. In fact, I look at the Jackson’s as an extension of our own family. I have known them since 2011 and we have remained close ever since. Kent and I shared a flight together to Lubbock and were hired on the same day back in January of 2011. I cannot believe how fast time has gone by. It seems like yesterday we were on that plane to Lubbock. Now, in 2017, Kent is back home in Seminole and I am getting ready to head to our first media luncheon of the year. I have been here for seven years. It’s the longest I have been in one spot, other than when I growing up in Northampton, Pennsylvania. I really enjoy Lubbock. It’s a great spot. 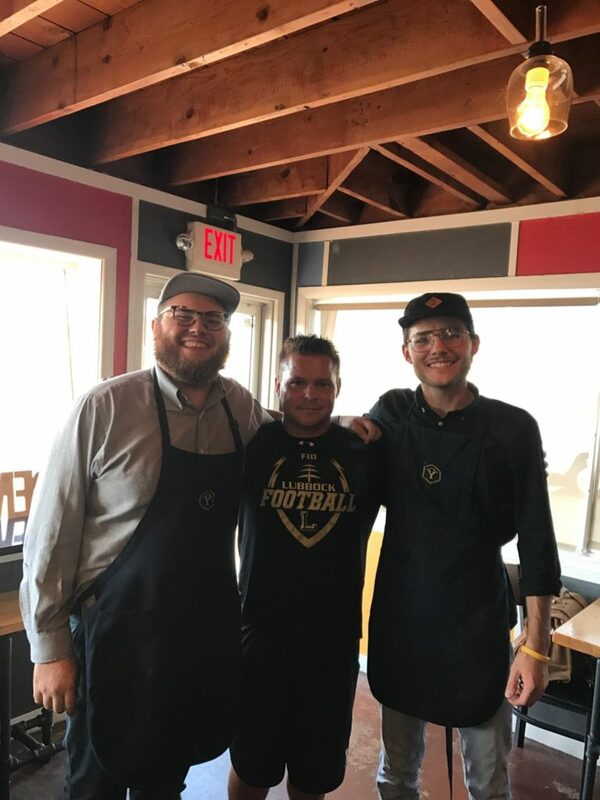 Coach Strunk with the Jackson boys — Randall (left), Trenton (right) at Yellowhouse Coffee in Lubbock. One of the cool things about remaining in Lubbock is that Kent’s sons’, Randall and Trenton, both work at a coffee shop here in Lubbock. It’s literally two minutes from my house. I swing by there daily and usually see one of them behind the counter. It always leads to some kind of laughter. I met both of them in 2011, coached against both of them and now they are both married. It’s incredible how the years go by. All summer long I was sending “smack” talk along to them to pass down to Seminole. They would tell their dad what I was saying and what crazy plays I was going to open with. Somewhere in all those conversations, we nicknamed Kent, The General. So he is just now known as General Jackson. It always leads to a good laugh, and lord knows I need it some days! The Jackson’s are great people. We have spent a lot of time with them over the years. From going to playoff games together, to hospital visits, to media luncheons and all the way to the sidelines, the Jackson’s have become an extension of our family. They are great people and I am thankful I get to see the boys on a daily basis. It’s as good as it gets. We are very fortunate to have the Jackson’s in our lives. No time for Randomness. I’m in business mode right now. So until next time… FIO.